Or is it a fitting beginning for the Shemitah year which may mark the beginning of the return of the servants and the fulness? The following passages should strike fear in the hearts of Mormons because the structure of belief and testimony in Modern Mormondom is based on the sandy foundation of feelings and emotions without studying the facts. Zeal without knowledge as Nibley would say. “OLIVER Cowdery, verily, verily, I say unto you, that assuredly as the Lord liveth, who is your God and your Redeemer, even so surely shall you receive a knowledge of whatsoever things you shall ask in faith, with an honest heart, believing that you shall receive a knowledge concerning the engravings of old records, which are ancient, which contain those parts of my scripture of which has been spoken by the manifestation of my Spirit. I thought his observations and comments about not using the new movie for missionary work and the absurdity of the church donating profits from commercial ventures to the Red Cross dead on. Last night began the Jewish Day of Atonement for Jews scattered all over the world. It is considered the holiest day of the year. Its central themes are atonement and repentance and historically the more faithful among the Jews have often spent the day in fasting and prayer. Yom means “day” in Hebrew and Kippur comes from a root that means “to atone”. Yom Kippur is usually expressed in English as “day of atonement”. Yom Kippur is “the tenth day of [the] first month” (Tishrei) and is regarded as the “Sabbath of Sabbaths”. Rosh Hashanah (referred to in the Torah as Yom Teruah) is the first day of that month according to the Hebrew calendar. On this day forgiveness of sins is also asked of God. Falling on the Day of Atonement is the Global Jewish Conference that is held annually. In these latter days, the Jews have a tradition of having a Jewish conference two times per year. Those that can physically gather to hear the chief priests speak do. Other participate through the use of modern technology. The first semi-annual gathering of the Jews is held during the March-April period and the second is held during the September-October period. Each of these periods has great historical and prophetic significance in Judaism which has been carried down to our present day. Being somewhat curious to know what is taking place among the latter day Jews, I suffered myself to listen in on a few of their opening talks this year. In the first talk, the leading Rabbi and chief priest of the Jews spent most of his time boasting about how many temples the Jews have built. It is interesting how temple theology seems to have more significance among modern Jews than any other doctrines having to do with their messiah or the saving ordinances. One the amazing things the Chief Priest reminded his people about is the fact that huge sums of money are being spent to remodel and rededicate existing temples that are not as opulent as they otherwise might be. For this reason, some of the older temples such as the Ogden Jewish Temple are being updated. Apparently they have spent over 100 MILLION dollars in renovating that temple. The Poor have been taken Care of! Although this may seem a little excessive and out of touch with the original mandate of the Jewish Church, particularly since the existing structure was more that adequate for doing their Jewish-Jesuit-Masonic ceremonies in, it is actually very good news because it indicates to me that the tribe of Judah has more than enough money to assist the poor and to alleviate suffering throughout the world and are currently meeting all of the needs of the poor. I was somewhat surprised that he would make such an insensitive and sexist statement given the fact that there is a current uprising and even some degree of dissent among a vocal feminist group of Jewish women that are demanding that the Sanhedrin begin ordaining Jewish women to the same priesthood offices that have traditionally been restricted to Jewish men. The Stone Is Rolling Forth? The next speech was given by the leading Rabbi of the Jewish quorum of the Twelve Apostates. He boasted that there are now over 15 MILLION Jews worldwide! I was a little taken back by his declaration that the establishment of 2000 stakes is proof that the stone Daniel spoke of has been going forth for nearly 200 years throughout the world. I guess I need to go back and re-read the Book of Daniel, I had remembered that when the stone goes forth, it will simultaneously destroy the kingdoms of the world. Perhaps I misread that part of the prophecy, or better yet, perhaps the world we live in has in fact been sanctified and Zionized and that the presence of Babylon is simply a figment of my imagination! Following that sermon we heard from the token Jewish female who quoted profusely from other contemporary Jewish leaders who were sitting on the stand judging her remarks, instead of from the scriptures. After that, it was fun to listen to a Jew who was born in Hong Kong. He spoke in Cantonese. and needed a translator. I suspect that the Chief Priest that spoke first and presided over the Jewish conference, having been sustained by all faithful Jewish people as a translator, would have done the translating, except that he is getting old and a bit feeble. Unfortunately I was unable to listen to every part of each talk given by all of the rabbi’s that spoke during the Jewish General Conference, however I did hear a few tidbits I want to share. I was impressed when another Rabbi quoted from a story in the life of Ben Carson. 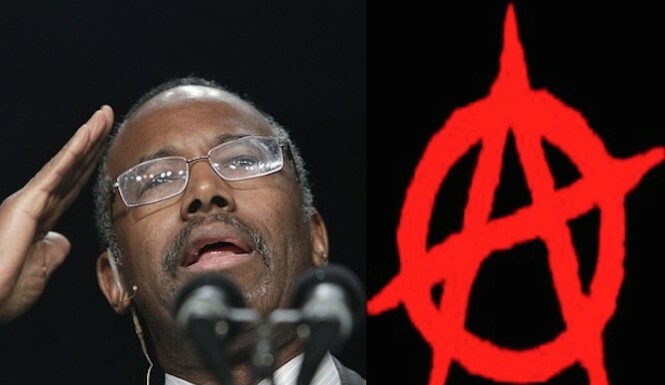 COULD THIS BE A SIGN THAT THE BRETHREN WILL SUPPORT BEN CARSON FOR THE PRESIDENCY? Although I have never voted during a presidential campaign, and don’t intend to in the future, I would probably vote for such man if I was going to vote. I love virtually everything I have ever heard him say. Interestingly he recently made an eye opening prediction about the future when asked about his intentions to run for the Presidency. He fears that the US may be in a state of anarchy preventing elections and keeping Obama in the White-house indefinitely. ..Asked in a Fox News interview on Sunday morning whether he still believed that the United States will disintegrate into “widespread anarchy” in the next two years, Carson held to his prediction. Sadly I fell asleep during part of the talks but I am sure they were profound. I did notice that Rabbi Holland publicly acknowledged, amidst his sobbing and tears that he had no idea what it felt like to be poor. I would have appreciated a little more context, such as his personal net worth and how much LDS Inc. pays him annually. I have blogged before about the book, “Book of Mormon, Key to Conversion” which proposes the false supposition that if the Book of Mormon is true, then the Modern Corporate Church is true. This type of black and white mind-numbing over- simplification gets people into trouble. I don’t want to be unduly critical of the commenter, but, IMO, the above statement is extremely naive and could only come from someone with an extremely limited-correlated understanding of the scriptures and the way that God uses his servants. The truth is that there are other possibilities for both Joseph Smith and Denver Snuffer. Joseph, like Moses of old, could have provided an intercessory atonement offering in behalf of Israel that would have resulted in him acting out the sins of Israel and causing some of his actions and teachings during the later part of his ministry to be contradictory to some of the actions and teachings in the early part of his ministry. This would not disqualify him as a true prophet and it certainly would not make him a fraud or a psychopath. With regard to Denver, he could certainly have been visited by a false Christ and been deceived, while desiring to do good. If that is the case, it disqualifies him as a true prophet but it would not make him a fraud who is intentionally lying to people and being deceptive, nor would it make him a psychopath. Here are fresh numbers through December 31, 2013 for derivatives exposure for the top 25 banks in the U.S. The top 25 banks in the U.S. now hold $304 TRILLION in notional derivatives value. 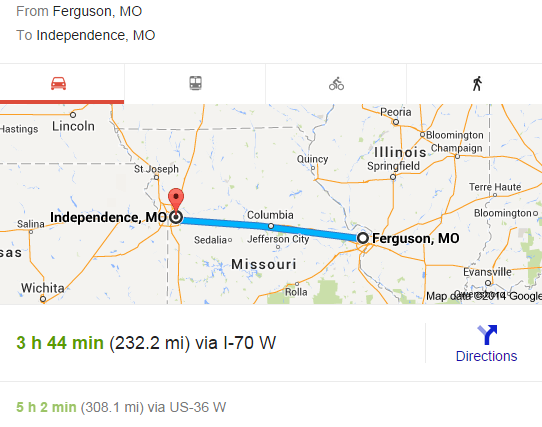 In section 57 the Lord identifies Independence, Missouri as the “Center Place” of the geographical area that is consecrated for the gathering of the Saints. The revelation notes that it is the “land of Promise” and the “place for the city of Zion”. One of the many Mormon Myths that has been perpetuated in the last days by the corporate church is the belief that the “Lords house” spoken of by Isaiah where “all nations” shall gather in the last days, is referring to the Salt Lake Temple in Utah. It was well understood in the early days of the church that the mountain of the Lord’s house that Isaiah spoke about was speaking about the holy places designated by revelation, located in the middle of the United States. 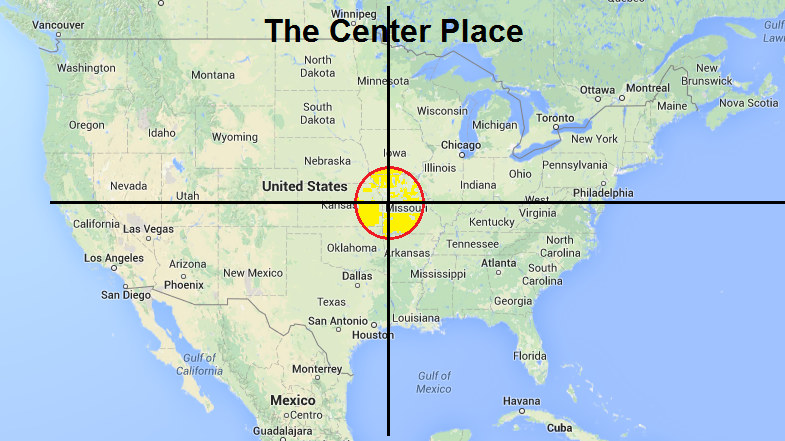 Several scriptures, like the one quoted in section 57 as just one example, identify the great last house of the Lord as being in the center place. (For scriptural literalists like me, the top of the mountains reference is easily explained by the fact that there are going to be significant earth changes that take place wherein many flat places will be made high and high places will be made low). The Prophet Joel speaks of an amazing time when God’s people mingled among the Jews and Gentiles (Judah and Jerusalem) will be in captivity in the last days. During this time He will deliver his remnant that repent and call on the name of the Lord. At this time the Lord will gather all nations and plead with them. The great sign associated with all of these events is that the sun will turn to darkness and the moon will turn into blood. All nations shall be at war—Multitudes stand in the valley of decision as the Second Coming draws near—The Lord will dwell in Zion. To lift up your voice as with the sound of a trump, both long and loud, and cry repentance unto a crooked and perverse generation, preparing the way of the Lord for his second coming. 7 For behold, verily, verily, I say unto you, the time is soon at hand that I shall come in a cloud with power and great glory. 8 And it shall be a great day at the time of my coming, for all nations shall tremble. 9 But before that great day shall come, the sun shall be darkened, and the moon be turned into blood; and the stars shall refuse their shining, and some shall fall, and great destructions await the wicked. 10 Wherefore, lift up your voice and spare not, for the Lord God hath spoken; therefore prophesy, and it shall be given by the power of the Holy Ghost. ¶ And it shall come to pass, that every one that is left of all the nations which came against Jerusalem shall even go up from year to year to worship the King, the LORD of hosts, and to keep the feast of tabernacles. One of the things that becomes apparent when searching the topic of the nations of the earth gathering to the center place, is that there are a series gatherings to the center place. We have previously covered the parable of the redemption of Zion in section 101 so that we know how the land of Zion will be redeemed with the shedding of blood. Section 124 also speaks of how a declaration will go forth to the governors of the nations of the world AFTER Zion has been reclaimed. It is my belief that we are currently living during the time of the preliminary gathering of the rich, learned, wise and noble. Sadly, most of us will be included in this group if we don’t repent when the appointed time arrives. This cryptic time of gathering the rich, learned, wise and noble probably began when the secret dispensation was ushered in on April 3rd, 1836. That is when a strange “bait and switch” took place in the history of the LDS restoration. Right at the time when the first laborers of the last kingdom (High Priests) were expecting to be endowed with power from on high, so that they could go forth preaching the fulness of the gospel for the last time, something secretive took place. When the dispensation of the fulness of times failed to materialize as expected, a secret ushering in a an ancient dispensation and a lesser gospel was secretly ushered in. Instead of the first elders of the restoration going forth in power with the fulness of the gospel, the second elders, who had been declared to be in a state of apostasy by the Lord, were commissioned by the Prophet Joseph Smith to begin taking the knowledge of the gospel to the nations of the world. Many people have come to my blog and asked the question, “if the fulness of the gospel was rejected in 1834 and if the saints were rejected with their dead by the Lord in 1841, what has been taking place during the last four generations? My positive response has been that the establishment of foreign missions and the grafting in of the House of Israel shortly after the Kirtland era kept the roots of the mother tree alive. However, there is also another way to characterize what has been taking pace during the last four generations. I have probably never publicly shared this narrative until now. I am guessing that most of the wealthy Mormons who have no desire to live consecration and establish Zion obviously do not represent the poor, lame, blind and deaf that will be gathered into the marriage of the Lamb during the great day of POWER. A typical American Gentile Mormon is wealthy according to the meager living that most inhabitants of this world enjoy. Even those of us that think we are financially challenged, live like kings compared to most people in 3rd world countries, according to the average global pay scale. We also represent a demographic that is highly educated according to the learning of the world. The term wise as used in the above passages is not being used in a complementary way. It is referring to those that are wise in their own conceit. Wise unto the precepts of men. People who are to wise to become humble, contrite and born of the spirit. I used to think that the passage was condemning the “crafty men“, however, I have since come to believe that the primary chastisement must be referring to the “honorable men” that allowed themselves to be deceived by the crafty. How else could the law of justice and mercy prevent these souls from the greatest reward? This information does not bode well for the deluded latter day saint. Those that think they can live in a mansion in this world and then inherit another one in the world to come may be deceiving themselves. Bringing this gathering of all nations narrative into relevancy with regard to current events and “soon to come” events, I want to provide a speculative scenario for those who are watching. I have referred to the mysterious “Book of Joseph” manuscript that surfaced years ago and some of the amazing prophetic content therein. In one portion there is a reference made to an event that takes place in the “heart of the earth“. It informs us that “all nations shall gather together in the heart of the earth to make war with the Lord“. What is shocking about this prophecy is the fact that it accurately foretold that the powers that be, would invent weapons of war that would “touch the power of the Most High” and these evil power would justify the weapons by stating that they are for the protection of the people. What I want to emphasize, with regard to this topic, is the fact that according to the prophetic narrative, the evil conspirators who control the governments of the nations of the world are aware of the “appointed time” (and place) when the Lord is to return to his vineyard BEFORE his coming in glory! The realization that the secret society that controls the governments of the world actually knows the approximate time of the “appointed time” of the Lord’s return and is devising a scheme to thwart the purposes of the Lord and destroy Him is quite remarkable. Which brings me to my speculative ponderings as to why the powers that be have tried to fan the fires for so long in a town located in the center of the earth, and look for reasons to accumulate a foundational army of military law enforcement at that location. Another question is, what else were they doing while the attention of the media was on the rioting? Could it be that they are preparing their scheme for the appointed time? It may be that the recent and current events in Ferguson have nothing to do with prophecy. This entry was posted on Sunday, October 5th, 2014 at 2:36 am and is filed under Uncategorized. You can follow any responses to this entry through the RSS 2.0 feed. Both comments and pings are currently closed.